A set consisting of a bracelet and earrings made of white glass pearls with zircons. 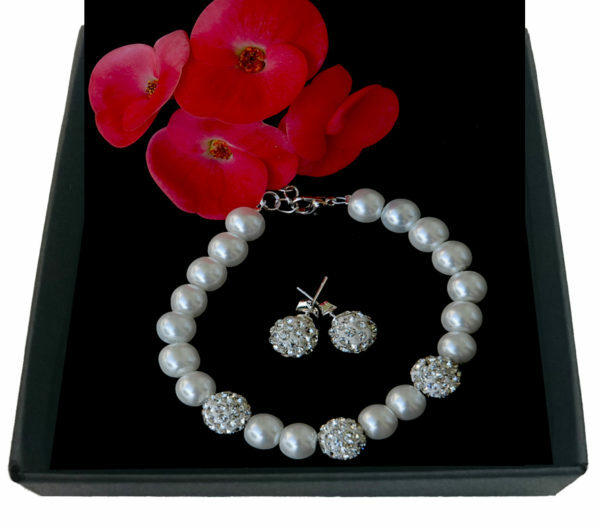 Glass pearls in white with a diameter 8mm. This set is finished with silver-plated elements. Earrings – studs – a single bead studded with zircons of 8mm diam. Set on a silver studs.